There are hundreds of thousands of ways of cooking chicken wings. My daughter loves eating chicken wings, no matter how I cook. 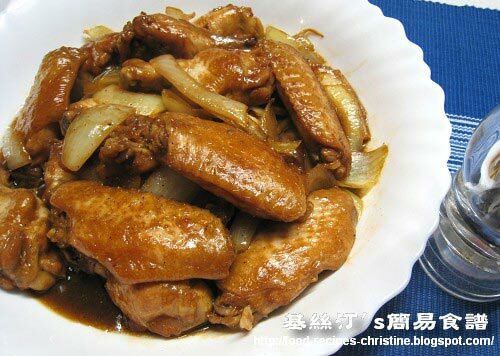 There’s a saying invented by me and circulated around our family, 『有雞翼，會為食！』If it’s translated in English, it goes like this: “Chicken wings in front of your eyes, you’d be turned into a hungry guy.” My daughter can clear away all the chicken wings on table by herself. This time I tried a new combination of black pepper with honey to cook sauce for chicken wings. Wow, it tastes fantastic. 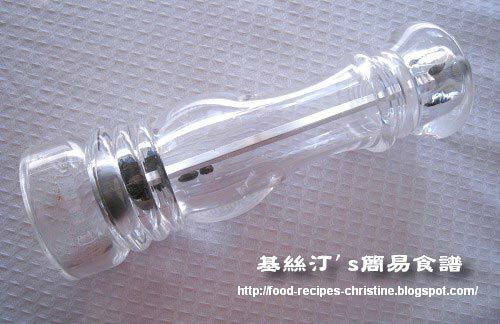 Watch out if you set this dish on table. Your kids definitely can’t stop eating until all of them are gone. Rinse chicken wings and cut into pieces. Mix with marinade for at least 30 minutes. Sauté shredded onion over medium heat in a wok until golden. Set aside. 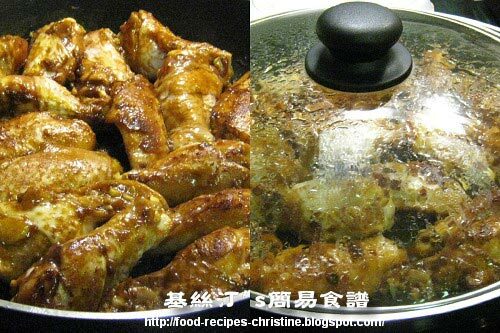 Add oil to wok again, fry chicken wings until golden on both sides. Add garlic and saute until aromatic. Pour in the remaining marinade, cover chicken wings and cook for about 10 minutes until cooked through. 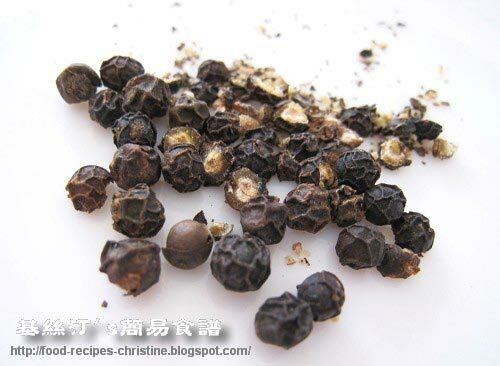 Add freshly crushed black peppercorns, toss in fried onion and stir well. Add honey and mix well. Taste by yourself. If you are satisfied, dish up. Sprinkle some salt or add more honey to your taste if needed. Another tasty looking recipe. This is going on my 'to cook' list! This is one of my family's favorite. Those look delicious! I have to try it sometime. wow, it's nice to hear this news. Sorry. I've updated the recipe. Hope it'd help you. Hi, in the ingredients there's minced garlic, but I don't see it being used in the steps you typed out... so I was just wondering where do we add the minced garlic too? Oh, sorry. Thanks for your comment. I've updated it. I love chicken wings! Thanks for the delicious post!